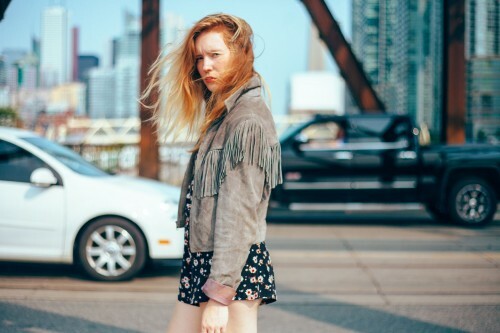 If It's Too Loud...: Skye Wallace - "Suffering for You"
Toronto's Skye Wallace is back with a new single off her upcoming album. "Suffering for You" was written while Wallace was Dawson City Music Festival's songwriter in residence, which had her staying in the Yukon during the month of January in a potentially haunted house. (I've actually been to Dawson City way back in the 1900's, and if it was that dull in June I can't imagine what January is like...) The song is about a group of people that get separated from their expedition and trapped on an ice floe for months. With that knowledge, "Suffering for You" becomes haunting. Somehow Wallace takes that subject matter and turns it into this epic, uplifting semi-punk power ballad. You can listen to "Suffering for You" below. Skye Wallace's self-titled debut album will be out June 7. For more on Skye Wallace, check out her website.